Article 50 was triggered on 29 March, 2017. It is the notification to the EU that Britain will be leaving the bloc. Once triggered, it started a two-year clock for negotiating a departure deal. 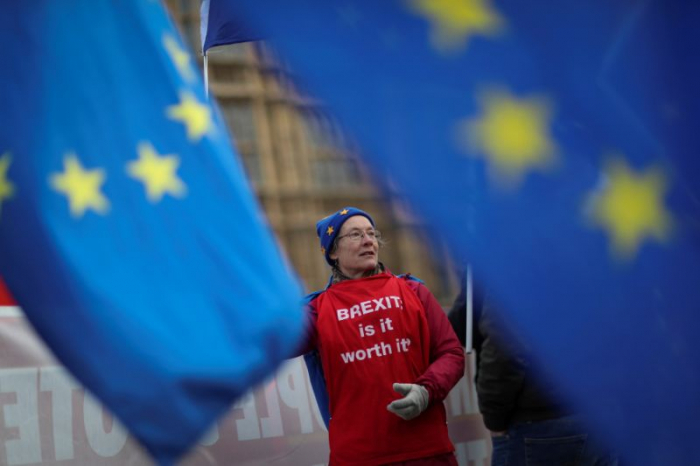 “Time is simply running out, and we’re at a stage where Brexit can probably only happen in late March now in the unlikely event that parliament approves May’s deal on 15 January, or if parliament supports leaving without a deal,” said Danielle Haralambous, UK analyst at the EIU. “For all other options, the government will need to buy more time, and we think the EU will be willing to provide it to avoid a cliff-edge situation,” she added. May will make a speech today (14 January) that will serve as a last-ditch attempt to persuade MPs to back her Brexit deal in tomorrow’s key Commons vote. She is set to have a devastating defeat in parliament. Political insiders, such as those at the BBC, say that around 100 Conservative MPs and the 10 Democratic Unionist Party MPs are expected to join the Labour Party and other opposition parties in voting against the deal. May is set to say on Monday that trust in politics will suffer “catastrophic harm” if the referendum result is not respected. The EIU believe that the EU will grant the UK an extension to Article 50, giving May and her government time to push through a deal. A no-deal Brexit is the worst-case scenario for all parties. It would mean Britain crashing out of the bloc with no set plan on how to deal with rules and regulations around trade, tariffs, and immigration, for example. “However, delaying Brexit does not remove the downside risks to the process. With the time it has bought, the government can pursue a new plan, but it will still be working towards a deadline to resolve the same deep political divisions over what Brexit should look like,” said Haralambous.